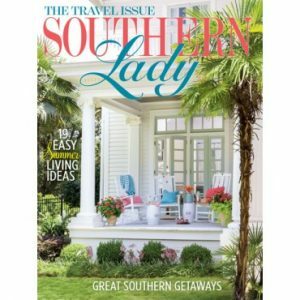 In this issue of Southern Lady, we hold onto the last of summer’s vitality while welcoming the warm hues and abundant harvest that come with fall. 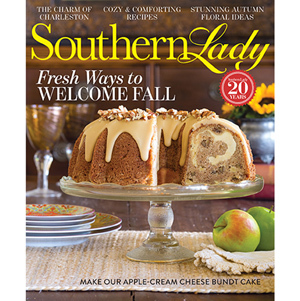 At Southern Lady, we love to celebrate the sweet transitional season that September in the South bestows. As the heat of summer dwindles, before the chill of autumn sets in, we bask in this glorious time of reprieve. 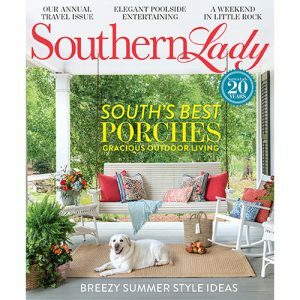 In this issue, we hold onto the last of summer’s vitality while welcoming the warm hues and abundant harvest that come with fall. Take in these brilliant, blended landscapes with a visit to a historical Charleston gem, a weekend in New Braunfels, Texas, and an escape to a storied north Georgia resort—or from the comfort of your own home. 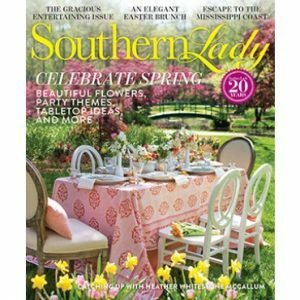 Find original décor ideas that embrace the season’s natural beauty with fresh fall florals and other outdoorsy accents. Autumn’s bounty graces our pages in both these decorative touches and recipes—you’re sure to find apples aplenty. You won’t want to miss our delectable, cover-worthy Apple-Cream Cheese Bundt Cake. You’ll enjoy other hearty fare like a delightful spread for a book club luncheon inspired by our region’s many acclaimed female authors and a roundup of creative carrot recipes that will bring rich fall color and flavor to your table.